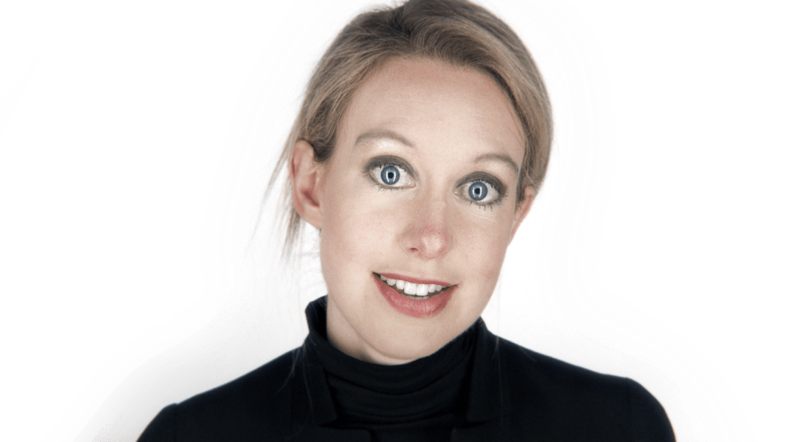 The game is up for folks who enjoy pointing out that Theranos founder Elizabeth Holmes (and company president Sunny Balwani) inexplicably escaped serious consequences for the company's billion-dollar blood test hoax. They were charged with fraud today by the Feds. Both Holmes, who stepped down as CEO of the financially crippled company earlier Friday, and Balwani appeared in U.S. District Court in San Jose, Calif., for arraignment on two counts of conspiracy to commit wire fraud and nine counts of wire fraud. Theranos's blood-testing machines never amounted to much more than hacky prototypes, but the company faked its way to a $9bn valuation by secretly using competitors' traditional technology while keeping employees shushed with a threatening, cultlike corporate culture. CNBC says "Holmes and Balwani face up to 20 years in prison if convicted" but doesn't suggest likely sentencing.